Cubes, the MediabistroTV series that takes you inside top media companies, got a tour of New York magazine recently. 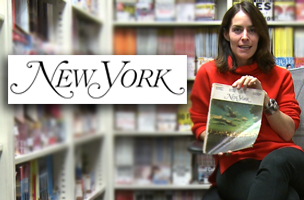 The chronicler of all things NYC, which now boasts some of the top news, food, fashion and culture sites around, includes a wellness room, fashion closet, and an area affectionately known as Scriberia. Stella Bugbee, editorial director of The Cut, also shows us the very first issue of the venerable magazine.